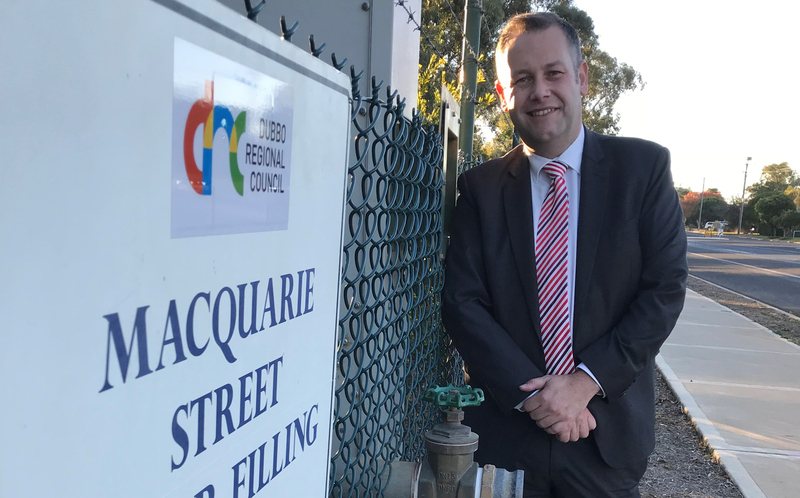 Council’s Water Filling Stations (PDF 1.6MB) offer a convenient means for contractors, water carters and other customers to access drinking water in a number of locations throughout the Dubbo (PDF 1.6MB) and Wellington (PDF 380.8KB) region. Customers wishing to use the Water Filling Stations need to apply to Council for an account and access key. Bulk water charges and a key deposit fee apply, as per Council’s Revenue Policy. For 2018/2019, the charge for bulk water purchase from Water Filling Stations in the Council region is $3.50 per kilolitre (1,000 L). An application form for an account key can be obtained from Council’s Customer Service Centre Dubbo office in Church Street, Dubbo or Wellington office corner Nanima Crescent & Warne Street, Wellington. For instructions and conditions for using Council's Water Filling Stations please read the below documents. The dates on which any water tank used by the water carter was cleaned. NSW Health and NSW Food Authority have developed Guidelines to help drinking water carters provide safe drinking water and comply with the requirements of the Public Health Act 2010, the Public Health Regulation 2012, the Food Act 2003 and the Local Government Act 1993. Drinking water carters must develop and adhere to a Quality Assurance Program as required by the legislation. A copy of the completed Quality Assurance Program document must be provided to the local Public Health Unit. Further information for water carters can be accessed through the NSW Health website. Contact Council’s Environmental Services Division on (02) 6801 4000 for further information.